An increasing number of dog owners are recognising the benefits of raw feeding their working dogs a natural menu of raw meat and bones. A raw diet for dogs is based on the principle that dogs are carnivores that have evolved to eat raw meat and bones. This is based on their teeth structure, jaws, stomach acid pH, and digestive system. Feeding your dog’s raw meat allows them to enjoy a diet of naturally nourishing, easily digested, and highly palatable food rather than dried and processed foods, which can be particularly problematic for dogs with allergies or intolerances. Feeding raw meat to your dogs can function as hypoallergenic dog food. Our raw meat for dogs is fresh, natural and of the highest quality - the best raw dog food. So you can be rest assured that you won’t find any cheap fillers such as rice in our raw dog meat. What’s more, all of our raw meat products for dogs are frozen immediately after production to ensure all vitamins and nutrients are fully retained. 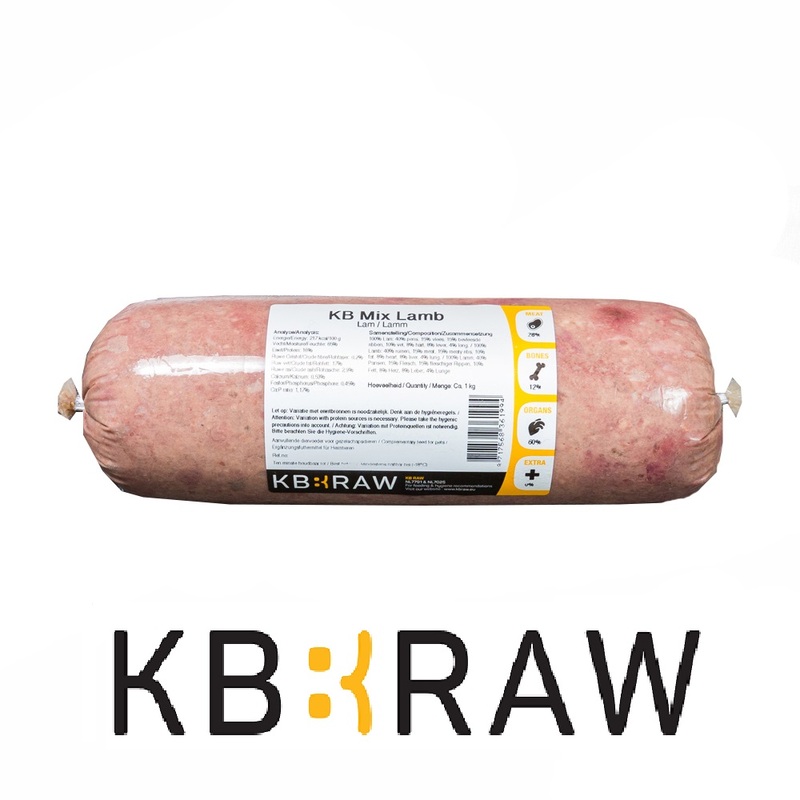 Our range of raw meat for dogs includes rabbit, chicken, and duck, as well as beef, horse meat, lamb, game, and fish. For your convenience, all of our raw food for dogs can be delivered frozen to your door because of our raw dog food delivery is in our own management. And, if you order before 11.30am, we’ll even deliver the next day (Monday to Thursday)! Explore our full range of raw food for dogs today. If you require any further information, please get in touch – our skilled and experienced team is always on hand to help.